Just when you think weÕve lost it, we figure out how to top ourselves. This 9-1/2" x 5-1/2" (24.1 cm x 14 cm), vinyl toupee is held in place with elastic loops that go around your chin. 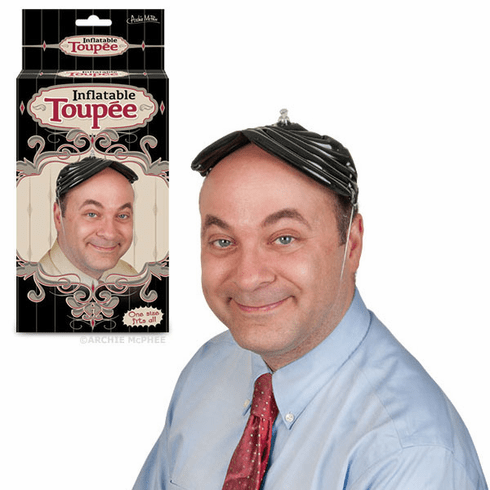 This is the perfect present for someone who thinks their toupee is invisible, you'll blow their cover!